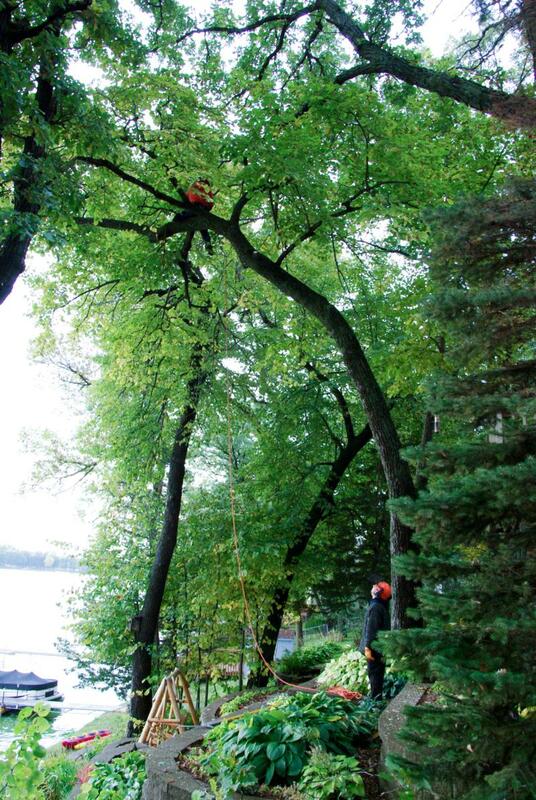 Jim's Tree Service is passionate about the care of trees and the control of tree diseases. Many landscapes are destroyed from Oak Wilt, Emerald Ash Borer and Dutch Elm Disease just to name a few. If you think that your trees have a disease, please contact Jim's Tree Service. We can help you prevent the diseases from further spreading if possible. Oak Wilt - Oak Wilt is a fungal disease identifiable by the rapid pattern of wilting starting from the top of the tree and progressively dying down to the bottom. Emerald Ash Borer - The Emerald Ash Borer is an invasive species, highly destructive to ash trees. Some signs that the emerald ash borer has infested a tree are D-shaped holes in the bark of the trunk or branches and shoots growing from the base of the tree. Dutch Elm - Dutch Elm is a fungal disease of elm trees which is spread by the elm bark beetle. The first symptom of infection is usually an upper branch of the tree with leaves starting to wither and yellow in summer.